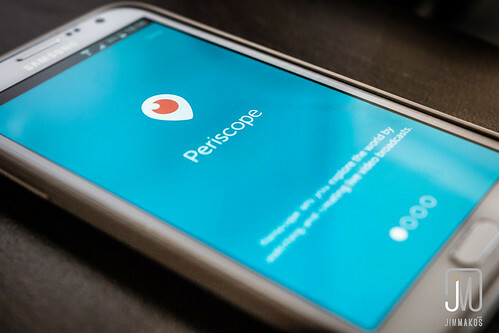 6 Periscope Presentation Tips — DiResta Communication Inc.
Have you done your first Periscope Presentation? It's a free live stream service you can access on your smart phone or tablet. If you've ever given a live stream presentation, you know that it takes a lot of work. You first go into a studio. You're dependent on the technology crew. You need to stand in the right spot. And it's expensive. Periscope is a great tool for anyone who wants to share their presentations and live experiences. Think twitter on video steroids. Public speaking is now accessible 24/7 in real time. Why give presentations on Periscope? It's a powerful marketing tool. Giving valuable content in real time, a public speaker can build their brand, access greater reach, engage with their audience, and speak to people from anywhere in the world-even when you're on vacation. On a personal note, imagine sharing weddings and family events with relatives who cannot attend in person. It creates a bonded community. But as with all public speaking, you'll want to present yourself in the best light. Here are some tips for maximizing the effectiveness of Periscope or live stream presentations. Announce your presentation in advance. Don't think that people are going to tune in just because you popped up on their screen.Let your audience know that you'll be speaking live at a certain time and date. Send another reminder a few minutes before your broadcast. Prepare your opening shot. Periscope will default to the first thing the camera sees. So, point your camera to the photo or scene you want to end the broadcast. Then tap the camera to point at you if you are the public speaker. Engage. Start by welcoming and acknowledging the people who are watching. If you don't see any people icons, keep talking anyway. People will watch the replay. After the welcome, tell them a bit about yourself and then ask a question. Some presenters like to show the audience their venue or introduce them to their pets. People will respond in the chat box. The best presentations are dialogues. Provide value. Do NOT make this a sales pitch. People will not return. Give the audience some tips or discuss an issue or industry trend. Ask for their input. Be brief. It's better to do more frequent,, short presentations than a long session. They will get to know you over time and will look forward to your message. Seize the moment. If you know something is going to happen, live stream it. When I had to leave the National Speakers Association convention early, my friend live streamed the keynotes. I was so grateful. If you're going to speak, ask a friend to film you on Periscope using your phone. For years I've been saying that future public speakers would need broadcasting skills. That time is already here. Periscope is a great presentation tool that anybody can use. The possibilities are endless.